Fire crews had to cut the two occupants of the van free after it collided with an HGV and an electricity pole. A Moray road was forced to shut for most of the evening following a crash between an HGV and a van. Richard Heaney has returned to work at Speyfruit in Elgin, as an HGV driver following a heart transplant last year. A Moray lorry driver is believed to be the first to get back behind the wheel of a truck following a heart transplant. A Moray lorry diver who admitted causing the death of a pensioner has been given a temporary reprieve – but told he must take “some responsibility” for the accident. Glenn Craib was transporting Christmas trees in a HGV out of Careston in November 2015 when he approached the junction with the A90 Aberdeen to Dundee road. He attempted to get across into the southbound carriageway but was unable to do so because of oncoming traffic and left the rear end of his vehicle in the opposite side of the dual carriageway. It was then struck by an oncoming white Skoda driven by Witold Solski. The 65-year-old, of Dundee, was pronounced dead at the scene. 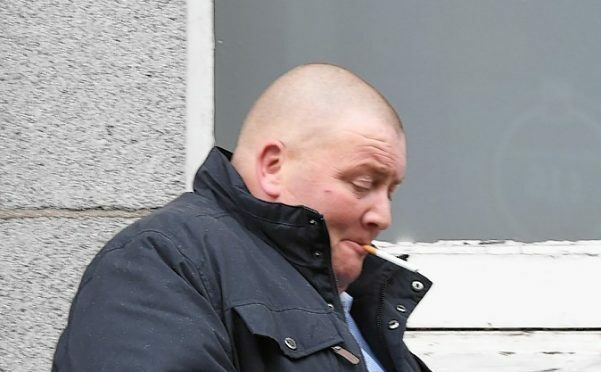 Craib, of Cockmuir Place in Elgin, was initially charged with causing death by dangerous driving but after the first day of his trial at the High Court in Aberdeen this week, he admitted the lesser charge of careless driving. He accepted that his vehicle had encroached the part of the northbound carriageway when it was struck by the oncoming car. Yesterday, Judge Morris deferred sentence on Craib and allowed him to keep his driving license in the meantime. Judge Morris told the 46-year old that he would almost certainly not be given a custodial sentence. He said: “I will allow you to keep your license for now but do not drive it to court when you are sentenced. “It was a very tragic accident for which you must bear some responsibility. “I will put your mind at rest as it is a long time before you will return to court. Craib will be sentenced at the High Court in Edinburgh on August 16. 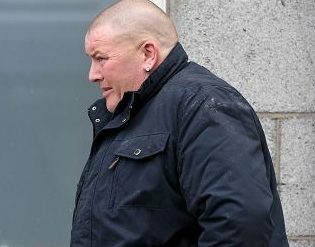 A Moray lorry driver has gone on trial accused of causing the death of a man by driving dangerously on a north-east road. Glen Craib was transporting Christmas trees in a HGV vehicle in November 2015 when he approached the junction with the A90 Aberdeen to Dundee road coming out of Careston. As he was entering the dual carriageway he crossed the lane to head south and stopped in the central reservation, leaving a part of his vehicle hanging over into the direction of oncoming traffic. And while he waited for traffic to clear his vehicle was struck by an oncoming white Skoda driven by Witold Solski. Sixty-five-year-old Mr Solski from Dundee was pronounced dead at the scene. And yesterday Craib appeared in the dock at Aberdeen High Court to face trial accused of causing the pensioner’s death by dangerous driving. The 46-year-old, of Cockmuir Place in Elgin, denies the charge. Giving evidence on the first day of the trial police constable Jack Swindles, who was one of the first officers on the scene, took to the witness stand to describe what awaited him when he arrived at the crash. Advocate depute Ashley Edwards asked him what he saw. She then asked him what he did next. The 27-year-old said: “I came back to my police vehicle, traffic was still moving. “People were coming out of the Careston junction onto the northbound road and entering the junction from the south. “I stayed at the junction and directed traffic away. “Later I was approached by a man asking me if he could cross southbound part of the road to enter his lorry. Barry Tait, who had been driving a tractor on the same side of the road as Mr Solski when the collision took place, was also called to give evidence. Ms Edwards asked him what speeds he was travelling at. He was then asked what he saw as he approached the junction. He said: “I saw the lights of a lorry approaching the A90. “At that stage I did not see any other traffic coming in a northbound direction. “The road was busy in a southbound direction. The lorry stopped in the central reservation. Ms Edwards asked how much of the lorry was left on the side of the road he was travelling on. When asked what proportion of the road was taken up by this he struggled to give an answer. She then asked if the car swerved before the collision. Craib’s defence agent Jonathan Crowe asked him to clarify how far away he was from the junction when he first saw the lorry to his left. He said he was about 200 yards away. The trial, before Judge Morris, continues. A Moray couple claim they are being “held hostage” by forestry companies as the dirt track that leads to their home crumbles away due to constant HGV use. During wet weather Andy and Susan Chadderton, who live at Tapp Farm near Dallas, become stranded on a virtual island as the route becomes impassable. The family, who stay at the house with their 19-year-old son Ruairidh Smiley, now fear emergency vehicles could struggle to get to them if needed. Gallons of water can pour down the slopes “like a waterfall” when it rains leaving the track swamped in up to six inches of mud. The family have lived in the rural cottage since 2004 but say felling in recent months has made the situation almost intolerable as up to 17 trucks pass their home every day. Forestry agents that work in the woods insist repairs to the track, sections of which belong to different land owners, are done when needed and timber loads are carefully managed. Land owners in the wood also committed to drawing up a maintenance agreement for the track in November 2015. But that remains to be written, nearly two years later. Mrs Chadderton, 49, revealed that during bad weather she has resorted to checking the dirt road at 5am to ensure the family can leave their home. She said: “It kind of feels like you’re being held hostage by no agreement being in place for the road. The couple live about a mile and a half from the road that runs from Dallas to Knockando. During the winter the family will resort to leaving their cars at the end of the track to ensure they are able to get out. Cracks regularly appear in the track with recent wet weather causing the surface to collapse into a ditch. Outdoor activity instructor Mr Chadderton, 51, now intends to object to future felling licences in the wood in protest. He said: “Selfishly, we’re thinking about safety for ourselves but it has knock-on benefits for everyone who works here. The couple explained they were willing to contribute financially to the maintenance of the access road with the other land owners. Steve Connolly, manager at Cawdor Forestry who fell in the wood, said haulage operations were “carefully planned” to minimise damage to the road. He said: “Maintenance of the road is ongoing with work done soon after any timber harvesting and haulage operations and the costs shared between the owners as appropriate. When approached for comment Stephen MacDonald, manager at Fountain Forestry, said that he agreed with Mr Connolly. Agents Ribreck and Brook Forestry, who also operate in the wood, were approached to comment but did not respond. He was rushed to nearby Dr Gray’s hospital after being hit by the vehicle on West Road in the Moray town this afternoon. A man is fighting for his life after being struck by a lorry on the A96 in Elgin. He was left with life-threatening injuries after being hit by the vehicle on West Road near the BP petrol station around 1pm today. He was rushed to nearby Dr Gray’s hospital. Meanwhile the A96 has been closed between the junction with Wittet Drive and the roundabout beside the hospital. The road closure is expected to be in place for several hours while police carry out road collision investigations. A LORRY that hit a bridge in Argyll and Bute is causing major disruption on the railways. The HGV hit the bridge at Taynuilt and as a result, services between Oban and Glasgow have been either cancelled or delayed. And operators ScotRail say that repairs won’t be completed before the end of service tomorrow. Now commuters are facing disruption tonight and during tomorrow morning’s rush hour. A ScotRail spokesperson said: “Train services between Oban and Glasgow Queen Street will be cancelled, delayed or terminated at and started back from Dalmally. Loch Awe, Taynuilt, Connel Ferry and Oban will not be served. “Replacement transport will be on site at Dalmally and Oban. Sorry that it will take a little longer by road than by rail.